Our bodies are not fixed. They expand and contract with variations in diet, exercise, and illness. They also alter as we age, changing over time to be markedly different at the end of our lives from what they were at birth. In a similar way, our attitudes to bodies, and especially posture—how people hold themselves, how they move—are fluid. We interpret stance and gait as healthy or ill, able or disabled, elegant or slovenly, beautiful or ugly. In Stand Up Straight!, Sander L. Gilman probes these shifting concepts of posture to explore how society’s response to our bodies’ appearance can illuminate how society views who we are and what we are able to do. The first comprehensive history of the upright body at rest and in movement, Stand Up Straight! stretches from Neanderthals to modern humans to show how we have used our understanding of posture to define who we are—and who we are not. Gilman traverses theology and anthropology, medicine and politics, discarded ideas of race and the most modern ideas of disability, theories of dance and concepts of national identity in his quest to set straight the meaning of bearing. 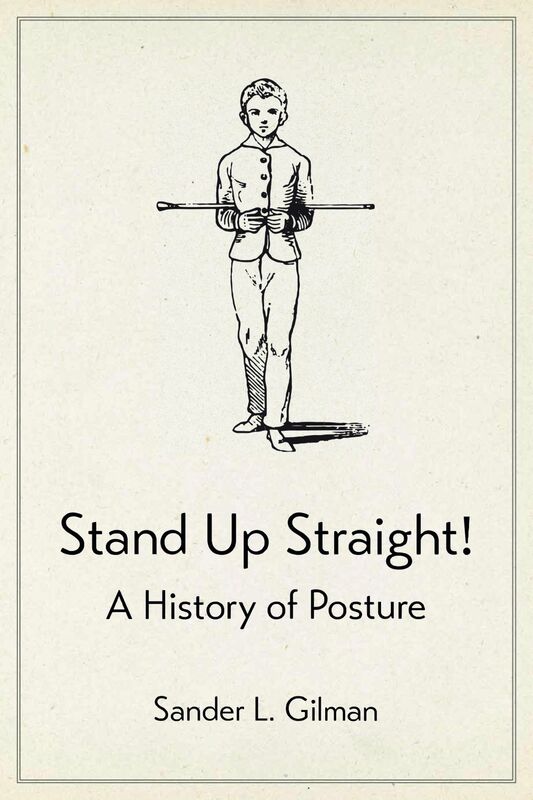 Fully illustrated with an array of striking images from medical, historical, and cultural sources, Stand Up Straight! interweaves our developing knowledge of anatomy and a cultural history of posture to provide a highly original account of our changing attitudes toward stiff spines, square shoulders, and flat tummies through time. "In this well-illustrated book, the best picture—best because most unexpected—may be the one of a young Adolf Hitler, caught slouching. . . . The photograph comes late in the book, well past the point when I realized that Gilman had written a pointed history of eugenics, pleasantly disguised as a book on posture. . . . Gilman does not actually recommend bad posture as a moral and cultural corrective to the horrific damage eugenics did, and continues to do. All the same, that early photograph of Hitler, all slouch and paunch, reveals a human self-presentation tellingly different from the visibly erect one we know comes later, when pride was twisted and prejudice aestheticized. I recommend this book. I cannot recommend putting it on your head to correct your posture."